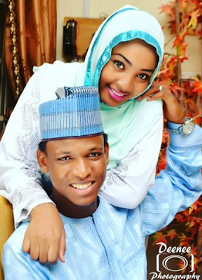 Super Eagles player batters wife: Sumayya Mustapha over a phone conversation. Shehu Abdullahi who suspected Sumayya Mustapha over cheating, has battered her . The wife was supposedly on a phone call when the husband walked into her room, she(Sumayya Mustapha) , quickly dropped the phone call. The caller called again, then she refused to answer the call due to the presence of her husband, the husband inquired her to pick the call, but she refused. The family of both parties, are to hold a family meeting in regards to the domestic violence. I agree with u, but somehow I feel uncomfortable being on the same side as u.
Didn’t Ahmed Musa do something similar a little while ago? If moderators do something about false accusations you will no longer be on this forum. He was then basically kicked off Leicester match day squad. Sent out on loan. Now remarried. I asked a question,what do you live under his stairs? domestic violence should never be tolerated. Shehu Abdullahi has been publicly called out for battering his wife Sumayya Mustapha during a domestic dispute at their home in Sokoto last night. This, apparently, wasn’t the first time they would get into a dispute due to the footballer’s penchant for suspicion. The blogger revealed that Shehu often accessed his wife’s phone whenever she was asleep, that he would read her chat and take shots of them. He would insist that she take her calls in his presence, and yesterday, she was having none of it. And it was why when a second call came yesterday and she refused to take it due to how he was hovering around her, he violently attacked, injuring her eye. While it is unclear if the victim filed a police report, their families reportedly had assembled to hold a meeting over this, as at press time. Get him the fuckk outta the SE. "beat their wife" Such a crochet . As always you are essentially blowing smoke before even knowing any details. But even if we were to go off the little information on that report. Any rational person would first express sympathy for Shehu and take his side because he is the victim here - of emotional abuse. Violence is never a good thing when it happens but you cannot at the same time dismiss human emotion which often is the first instinct we default to in such situations before we come to our senses. I hope you are not implying there is a situation where it will be justifiable he beats his wife. Agree we don’t know details but if he did how on earth can he be the victim? Too bad he couldn't batter Perisic and Rebic when Nigeria played Croatia. Beatch. problem is that the inherent western cultural hypocrisy of trying too hard to right all their wrong doings on human rights and centuries of subjugation of women has bamboozled all of you slave boys and uncle toms. And you ask how is he the victim. Abuses come in different forms. Shehu is subjected to emotional abuse by his wife if infact his wife is disrespecting the very sanctity of the Union by engaging another man to penetrate her period. That also is a form of violent communication. Violence is not confined to physical abuse only. Emotional abuse is a form of violence hence Shehu is a victim first. Did I make it clear enough. Last edited by jette1 on Mon Jul 16, 2018 10:38 am, edited 1 time in total. In as much I am not supporting this oppressive, shameful and brutal behaviour from Shehu, I think we should leave their family matter for them to handle. A lot of people here do the same but they are quick to come out in the open to judge others because the news carriers didn't see their own ugly side of family affairs.